Also see the Species Template page! Centaur-like aliens with an unusual way of eating and bladed, powerful tales that crack like whips, this haughty species, although friendly towards Citadel, tends to look down on other species and avoid contact or politics, preferring to passively observe and occasionally enforce through their impressive military power. They communicate with one another through curious telepathy, but require translators to speak to other species. 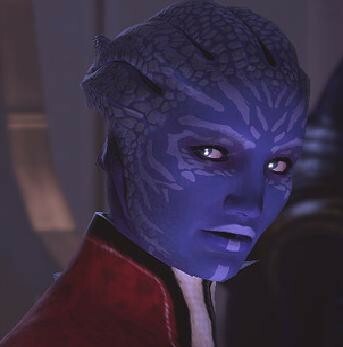 The Asari are an anthropoidal race from the planet Thessia. They have only one gender, all being feminine in appearance, and have a natural proficiency in biotics. They live for thousands of years, and were the first race to discover the Citadel after the extinction of the Protheans. They are known for their strictly defined age system, and for their ability to take any species as a "mate", essentially reproducing through parthenogenesis. Batarians are four-eyed bipeds generally known as unsavoury and thuggish characters. They come from the planet Khar'shan and their galactic territories are heavily guarded and often closed off to official trade or travel. Most Batarians prefer profitable pursuits such as drug running and slave grabs to out-and-out warfare. They have strictly defined social castes, including slaves, and place heavy importance upon behavior and body language. A cybernetic species of incredibly adaptive machines, Cybertronians are known for their aggressive warfare and their exceptionally long lifespans. Cybertronians have been engaged in an incredibly devastating civil war for longer than most species have had modern civilizations, which has greatly reduced their numbers and all but destroyed their home planet, a mysterious location known as Cybertron. Their adaptive physiology allows them to mimic other species and vehicles, allowing for them to hide in plain sight upon other planets. Drell are omnivorous reptile-like humanoids from the barren planet of Rakhana. Drell appearance is very similar to Asari and Humans, but their muscle tissue is slightly denser, giving them a wiry strength. They were rescued from their dying planet by the Hanar, and brought into the galactic community. The debt of gratitude that the drell owe the hanar is referred to as the Compact, which the Drell fulfill by taking on tasks that the Hanar find difficult, such as combat. Any Drell may refuse to serve, but as being requested to serve is a great honor, few turn down the offer. The Elcor are a species of massive sapients which evolved on a high-gravity world. They have four muscular legs for stability, and move slowly as a result of developing in an environment where falls can be lethal. Among themselves, scent, extremely slight body movements, and subvocalized infrasound convey shades of meaning that make a human smile seem as subtle as a fireworks display. 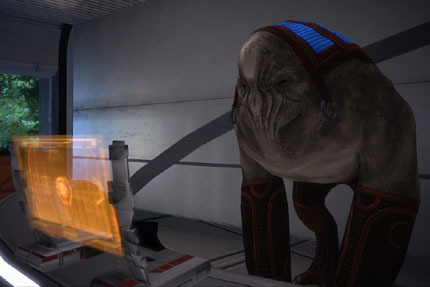 Since their subtlety can lead to misunderstandings with other species, the Elcor prefix all their dialog with non-Elcor with an emotive statement to clarify their tone. 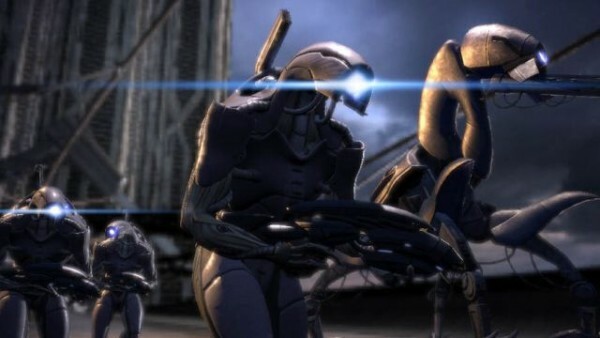 The Geth are a race of networked artificial intelligences created by the Quarians hundreds of years ago. They were designed partially in the image of their creators, though composed of strong synthetic 'muscle' under a steel or plastic shell. 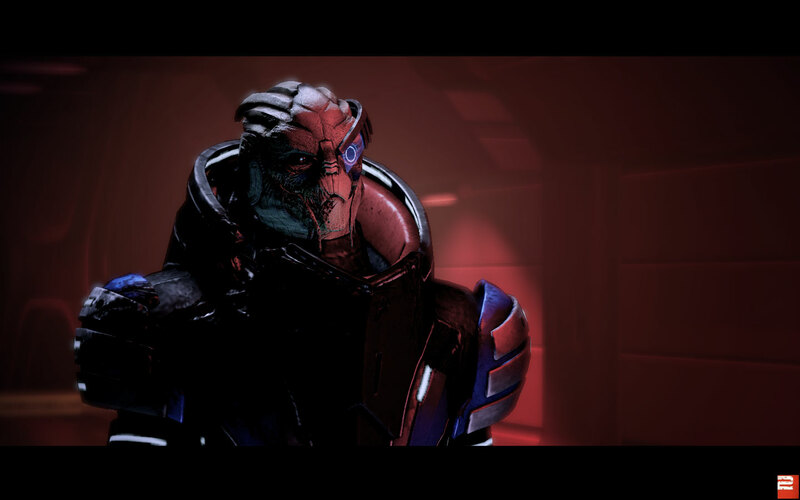 When the Geth became sapient and began to question their masters, the Quarians attempted to exterminate them. The Geth won the resulting war, and reduced the Quarians to a race of nomads. The Geth themselves are programmes which possess little intelligence on their own. Multiple programmes exist in a single platform, which can be a humanoid unit, a starship, or a computing hub, and together they develop sapience. The Hanar are a jellyfish-like race of sapients from the planet Kahje. They stand slightly taller than humans on long tentacles, and can secrete natural toxins. They are known for their great politeness when speaking, and for their strong religious beliefs about the Protheans, who they name the 'Enkindlers'. Hork-Bajir are a fearsome-looking but peaceful species that became introduce to the galactic community through slavery, being used by other species of guards and shock troops. They were believed to be artificially created by a pecursor species known at the Arn, and use the sharp blades adorning their body to climb and strip bark from trees, being herbivores. Hork-Bajir are generally no more intelligent than a child, but are easily trained into obedience. A rarity among Hork-Bajir are "Seers"- individuals born with less physical capacity but incredibly advanced mental capacity. 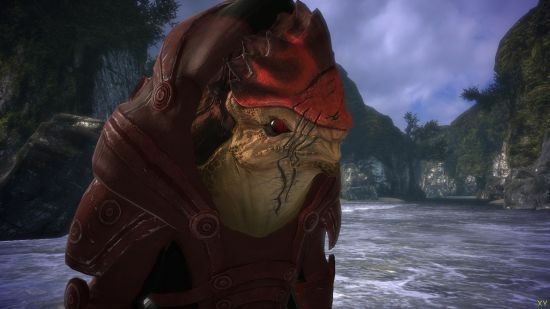 The krogan are a species of large reptilian bipeds native to the planet Tuchanka, a world known for its harsh environments, scarce resources, and overabundance of vicious predators. 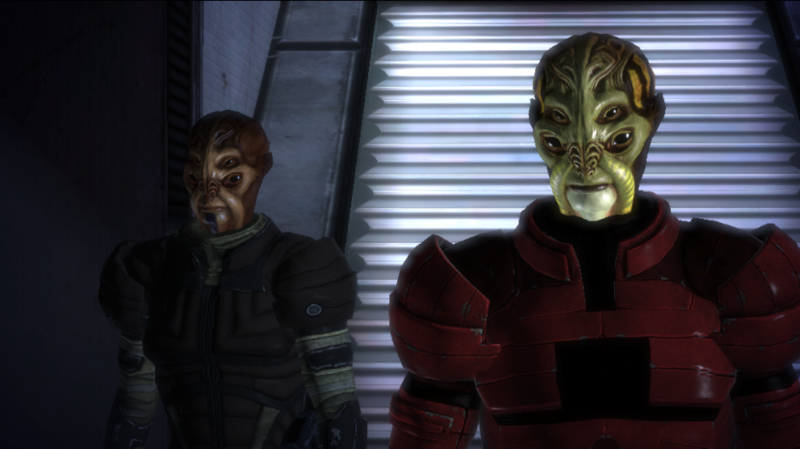 With the help of the salarians, the krogan were "uplifted" into galactic society, and lent their numbers and military prowess to bring an end to the Rachni Wars. 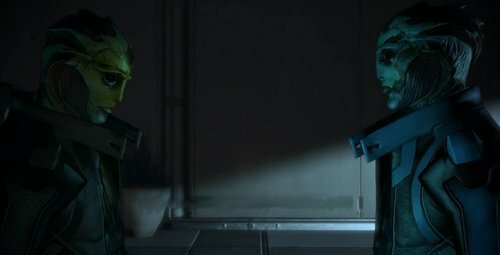 Ironically, after the rachni were eradicated, the rapidly-expanding krogan became a threat to the galaxy in turn, starting the Krogan Rebellions and forcing the turians to unleash the genophage, an 'infection' which reduced female fertility to an extreme extent. They are very tough and well adapted to a hostile environment, typically stand over 7 feet and weigh roughly one ton in armour. Kzinti can often be described as appearing similar to large, bipedal tigers. They are plantigrade, powerfully muscled, and have large retractable claws on their hands and feet. They have membranous, webbed ears and long, hairless tails. They are an especially aggressive species, with a culture based heavily upon physical prowess and warrior skills, and revere "heroes"- individuals who have done particularly difficult or honorable actions. 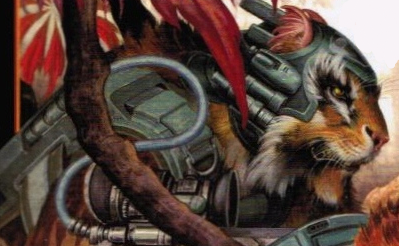 Female Kzinti are generally nonsapient, and rare Kzinti individuals develop powerful telepathy and are used as a psychic workforce. Tall, graceful humanoids from a moon known as Pandora. These blue, vaguely feline people range up to three meters in height, and have naturally occurring carbon fibers in their bones and muscle that give them immense strength and speed. 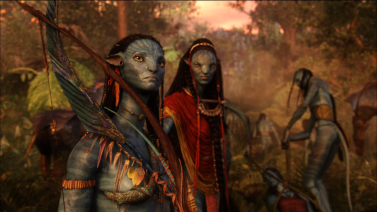 Although the Na'vi are hunter-gatherers with technology equivalent of Earth's Paleolithic epoch, they have developed a sophisticated culture based on a profound spiritual connection to other life. Their highly evolved nervous system includes a queue - a remarkably intricate system of neural tendrils that can be connected to similar structures of other life-forms. The Prawns are a race of insectoid bipeds, from an unnamed planet with seven moons. Though little taller than a human, they possess a wiry strength that allows them to be far more powerful than most races. Most are opportunistic and careless, but there appears to be a group within them with great intelligence and technical understanding. The quarians are a nomadic species of humanoid aliens known for their skills with technology and synthetic intelligence. Since their homeworld Rannoch was conquered, the quarians live aboard the Migrant Fleet, a huge collection of starships that travel as a single fleet. 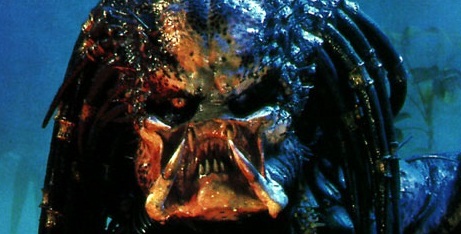 They notably posssess a weak immune system, made less powerful still by centuries of living in sterile environments. 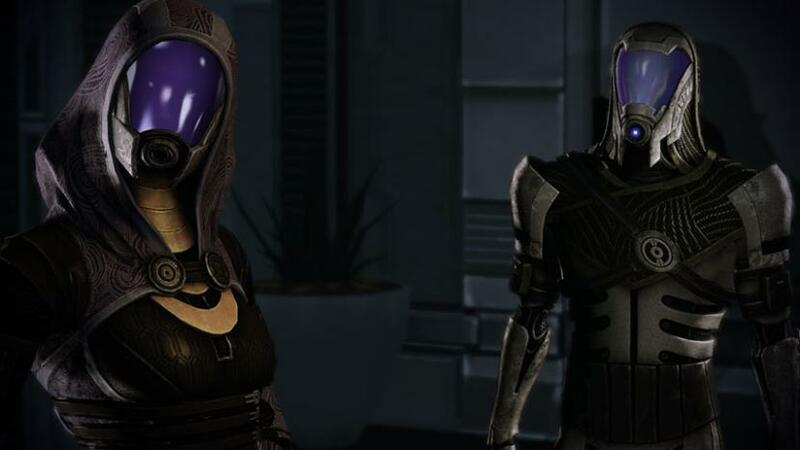 As a result, all quarians by necessity dress in highly sophisticated enviro-suits, to protect them from disease or infection if they are injured. The second species to join the Citadel, the Salarians are warm-blooded amphibians native to the planet Sur'Kesh. Salarians possess a hyperactive metabolism; they think fast, talk fast, and move fast. 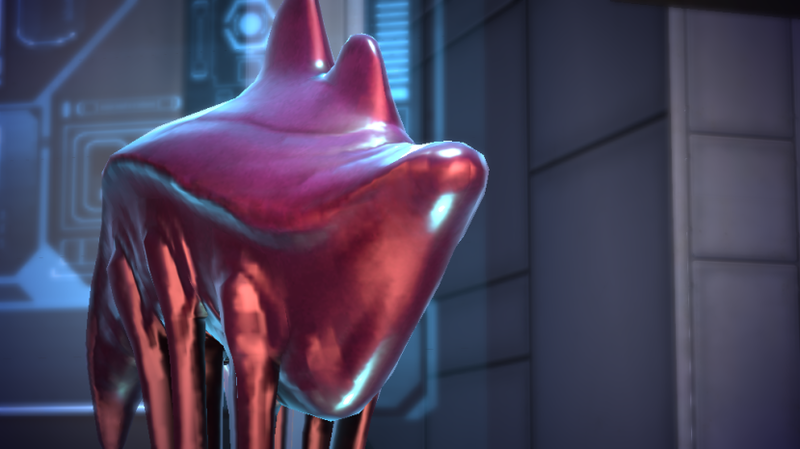 To Salarians, other species seem sluggish and dull-witted, especially the Elcor. Unfortunately, their metabolic speed leaves them with a relatively short lifespan; Salarians over the age of 40 are a rarity. They are a bipedal race, with tall, elongated bodies well-suited for their high metabolism, and skeletons composed of more cartilage than those of other races such as humans. Salarian heads are long and thin, and have a pair of horns protruding from the top of their skulls. 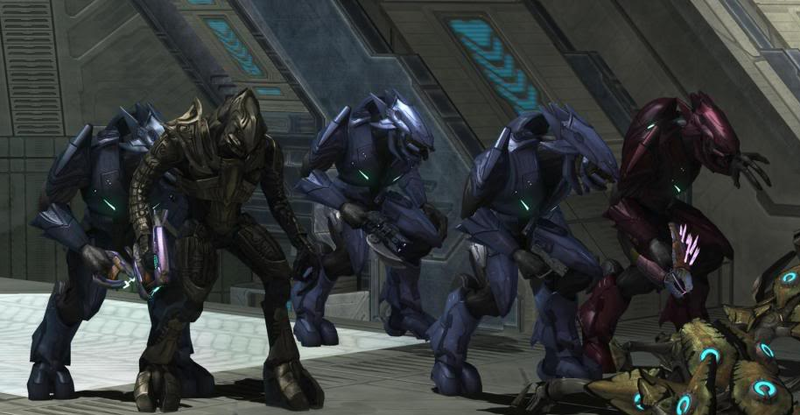 The Sangheili are a race of saurians native to the planet Sanghelios. They are fierce, proud, agile and strong, and well-suited to battle. Their culture has an honour system, and are promoted based on the number of enemies they have slain. Sangheili form a close bond between commanders and troops which lasts even after being exiled or shamed. They themselves have a proud history of military victories. The Turians are a militaristic and disciplined race, hailing from the hot planet Palaven. They were the third race to join the Citadel Council, gaining their Council seat after defeating the hostile Krogan for the Council during the Krogan Rebellions. Turians are best known for their military role, particularly their contributions of soldiers and starships to the Citadel Fleet. They are respected for their public service ethic—it was the Turians who first proposed creating C-Sec—but are sometimes seen as imperialist or rigid by other races. There is some animosity between Turians and Humans, largely due to the Turian role in the First Contact War. The Wookiees, whose name for themselves translated to the 'People of the Trees', were a species of hairy bipedal humanoids that were inhabitants of the planet Kashyyyk. 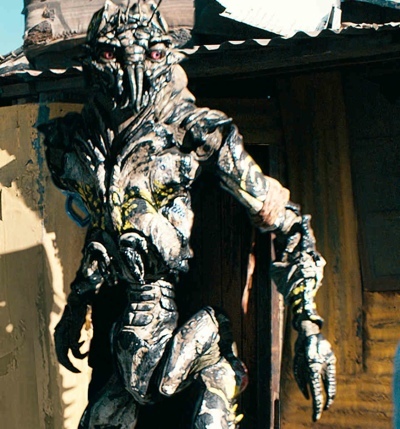 The Yautja are a mysterious and seldom-seen humanoid species. The Yautja - more commonly known as Predators and occasionally known as the Hish - are a hunting race from the furthest reaches of the universe, their homeworld and origin unknown. Despite a somewhat reptilian and crustacean-like appearance, they are warm blooded and adapted to hot climates. They are known for their incredible durability, and their unwillingness to interact with other species- unless they're hunting them. A small, parasitic species capable of entering the bodies of carbon-based lifeforms through mucus membranes and allowing themselves to be absorbed partially into the brain, granting them control over their host. Many Yeerk are considered to be part of a hostile, surreptitious invading force that seeks power on multiple planets, but some are benign symbionts who reside in the brains of willing hosts of other species. For species' that may not have enough going on to warrant a full entry. An avian race with four legs, short wings, and slender arms. They are covered in brightly colored feathers and have large, glittering eyes and red mouths. They were incredible bioengineers, never exploring beyond their own solar system, and building an entirely artificial ecosystem after an asteroid strike nearly killed all life on their own planet. Arn are the creators of Hork-Bajir, and were wiped out by Reapers around the same time as the Protheans. All species are copyright their respective owners, AKA not us.